Everything is a little more fun with googly eyes, right? 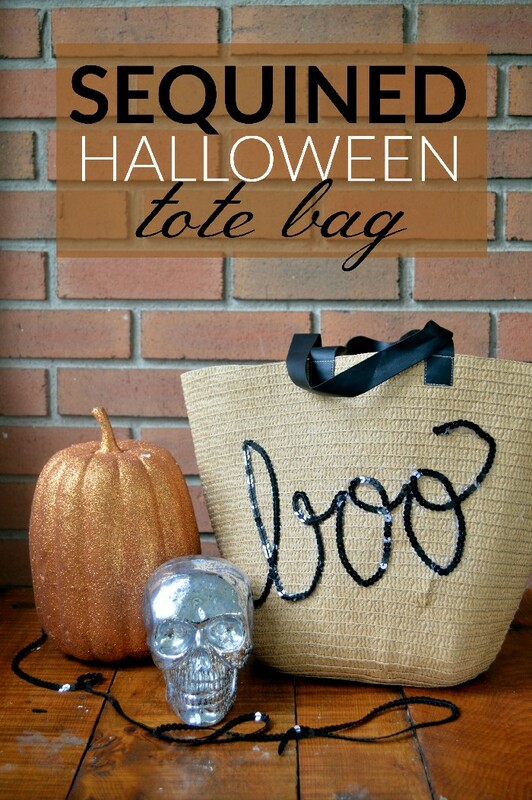 For the second trick or treat tote bag I am sharing this week, I used googly eyes to spell out BOO! 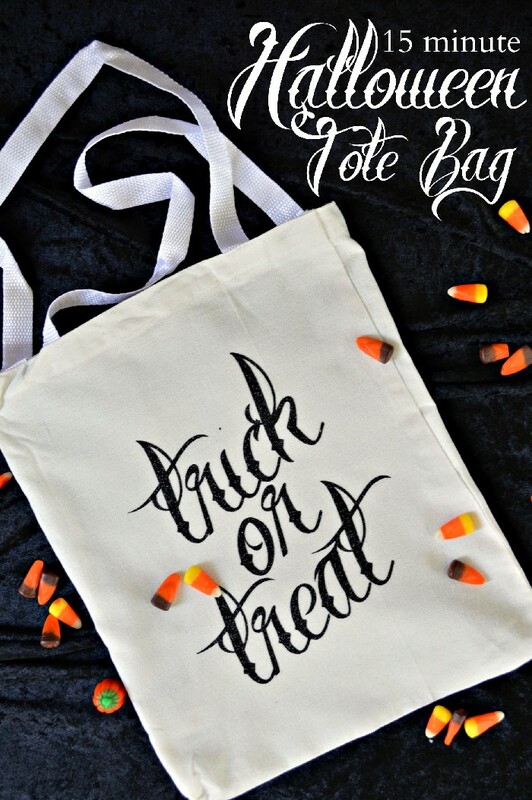 on a plain tote. 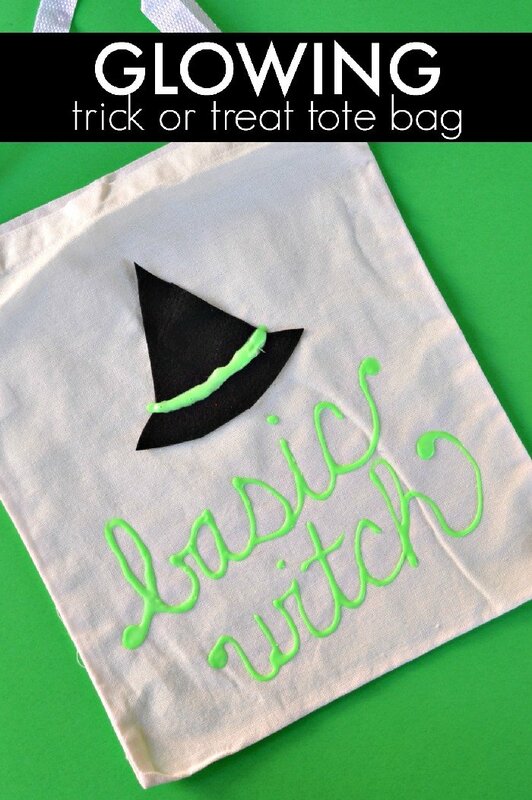 This is a really easy way to customize a bag for Halloween. 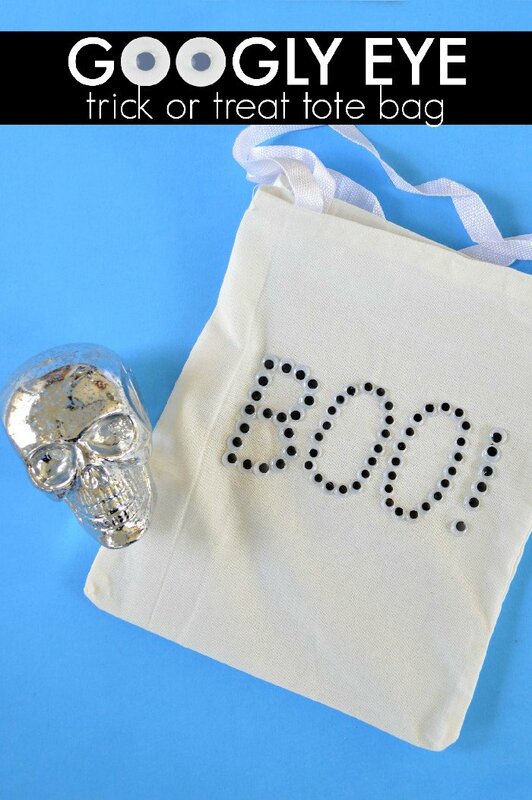 You can spell out whatever word you would like, or just cover the whole bag with wiggly eyes! 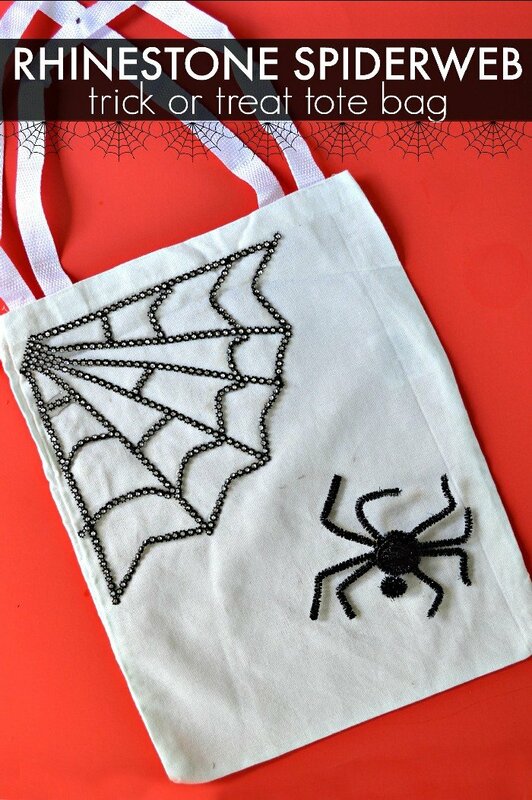 Watch this video to see how easy it is to create a googly trick or treat bag. I put out two new videos each. Subscribe to my YouTube channel so you don’t miss any of the fun!